In a first, researchers at the University of Cape Town (UCT) have developed world’s first bio-brick from human urine that can have huge consequences for recycling waste. Created through a natural process called microbial carbonate precipitation, the researchers from the South Africa university say that this development can be good for the environment and global warming. This is because unlike regular bricks fired at 1,400 degrees, bio-bricks are made at room temperature, and hence won’t emit as much carbon dioxide. Using urea to make bio-bricks was tried in the US with synethetic solutions. This is the first time human urine has been used to make bio-bricks. According to a news report, loose sand is colonised with bacteria and the enzyme produced, urease, breaks down the urea in urine while producing calcium carbonate. The brick can be moulded into any shape. The UCT researchers were testing various bio-brick shapes and tensile strengths to produce an innovative building material. They say that the longer you allow the little bacteria to make the cement, the stronger the product is going to be and that this process can be optimised. The bio-brick process produces nitrogen and potassium as by-products, important components of commercial fertilisers, added the news report. 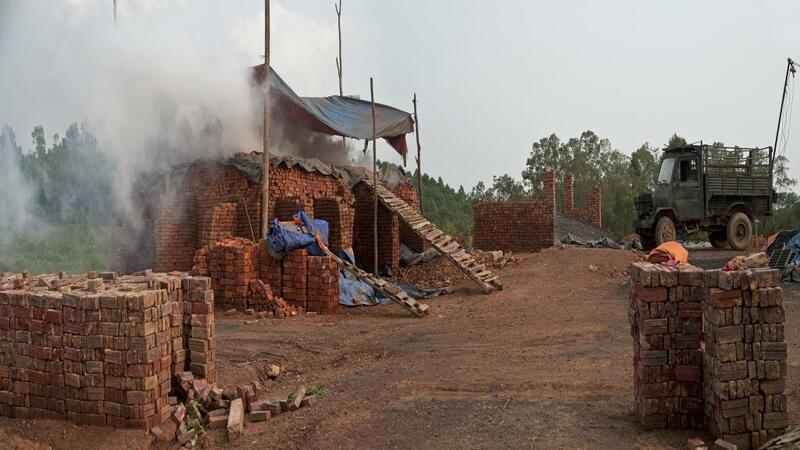 Brick kilns are one the most significant sources of pollution in South Asia. India is the second largest producer of bricks in the world and produces 200 billion bricks per year. Apart from polluting the air, brick kilns also affect the fertility of the top most soil, shows a study. 65 per cent of bricks in India are produced in the Indo-Gangetic plains. In Delhi, expected to see a huge spike in PM 10 in the next few days, most of the brick kilns have not updated their existing technology to zigzag systems that emits 70 per cent less particulate matter than conventional brick kilns. In 2017, the Environment Pollution (Prevention and Control) Authority for the National Capital Region had ordered all kilns in the Delhi-National Capital Region (NCR) to shift to the zigzag technology.